Stop battling your tools. 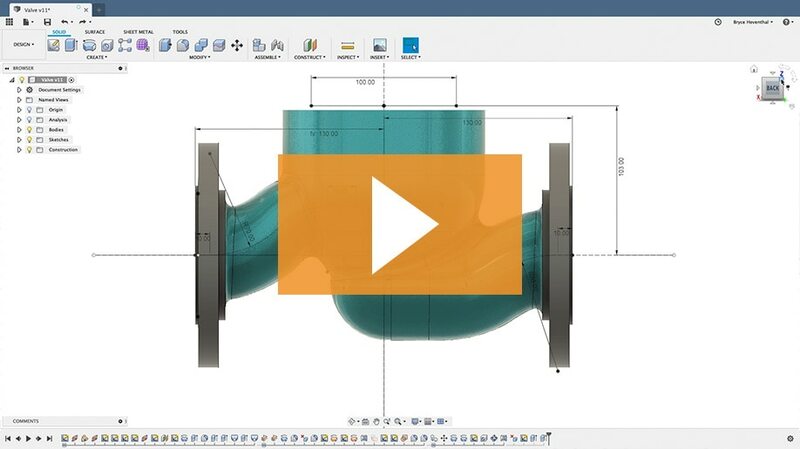 Design, engineer, simulate, and manufacture all in one product development platform. Don't let your current tool dictate your workflow. 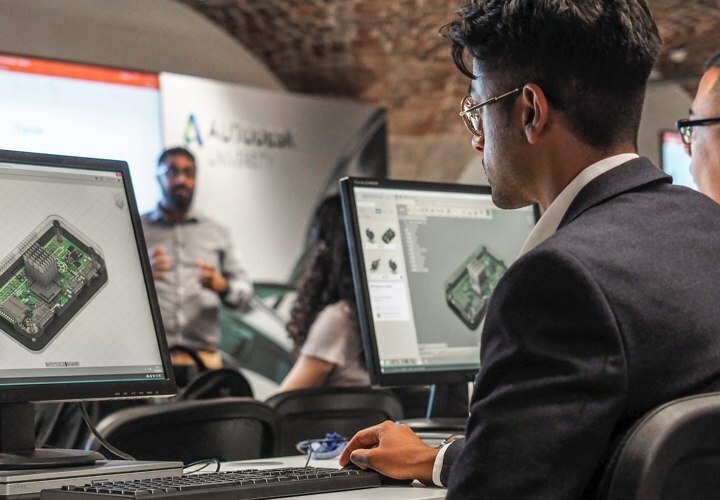 Engineer your products with a complete set of 3D modeling tools that include parametric, freeform, direct, and surface modeling. 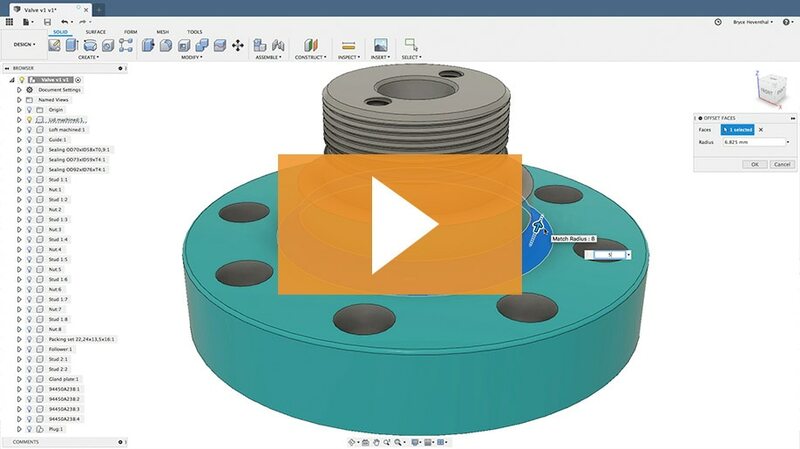 Simultaneously generate multiple options of your design while consolidating parts, reducing weight, and improving overall product performance. Test your designs to ensure they will survive real world conditions using one model, in one affordable platform. Investigate upwards of 100 design iterations in the amount of time it would traditionally take to complete one. Design and build a product in one day instead of an entire business week. 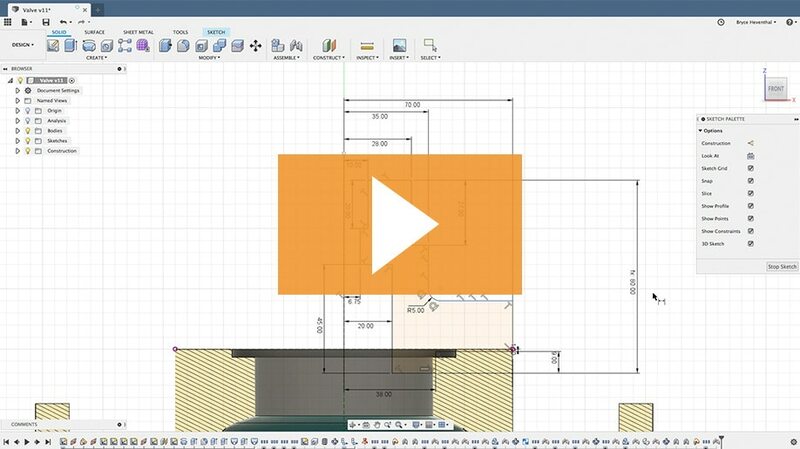 Reduce your engineering time by 75% when compared to traditional design methods. Engineer products with a comprehensive set of modeling tools. Ensure form, fit, and function of your products with various analysis methods. Create and edit sketches with sketch constraints, dimensions, and a powerful suite of sketch tools. What used to take days, now is done in hours. 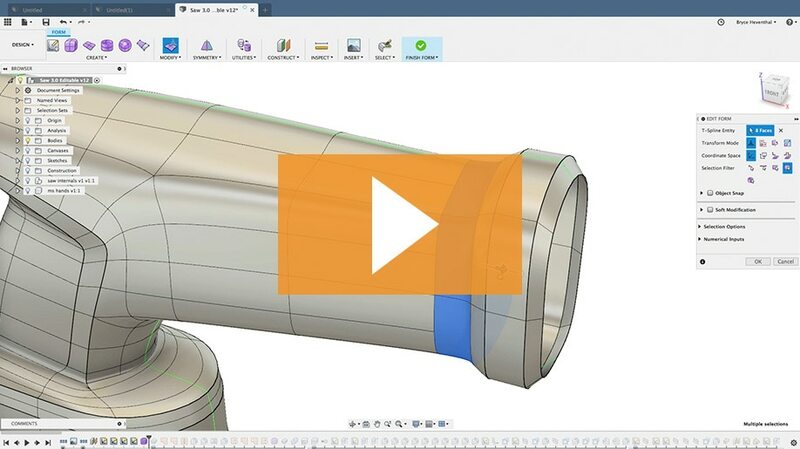 Create history-based features, including extrude, revolve, loft, sweep, etc., that update with design changes. With the eight-hour process for me to do in another tool, I can hop into Fusion 360 and have something in two hours the first time. Edit or repair imported geometry from non-native file formats. Make design changes without worrying about time-based features. I love creating models with Fusion 360, it is very easy to sculpt, shape, and scale. Other programs make it very square and not exactly what I want. Create complex sub-divisional surfaces with T-splines and edit them with intuitive push-pull gestures. Fusion 360 allows me to resolve the form in 3D & create renderings 50% faster than existing tools. 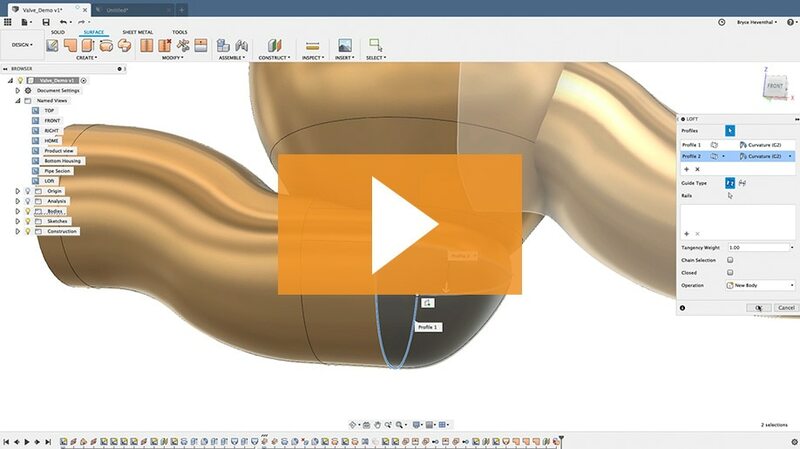 Create and edit complex parametric surfaces for repairing, patching or designing geometry. In Fusion 360, within 20 minutes I had both contact points for the truck. In another tool, I would have budgeted 3-4 hours. Design sheet metal parts components, document flat patterns using 2D drawings and DXFs, and manufacture your design with cutting strategies for water jet, laser and plasma machines. We could finally use a CAD program that didn't need hours of preparation before starting to design. You just sit and start creating. 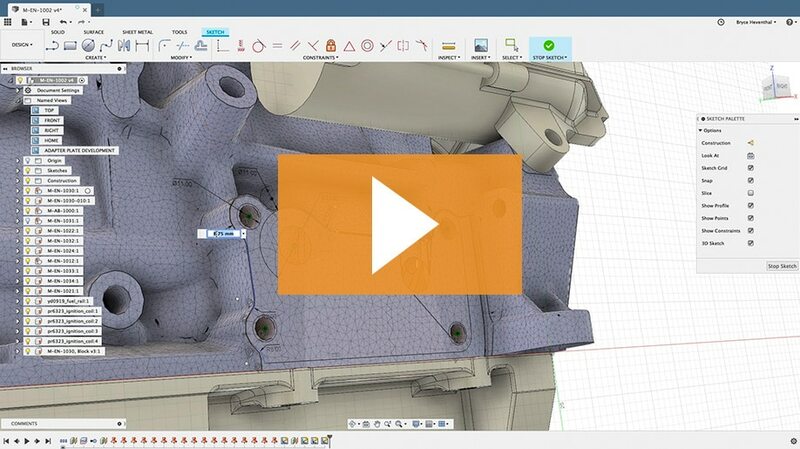 Edit and repair imported scans or mesh models, including STL and OBJ files. My favorite features are user experience and speed. Design something and then build it in a day, whereas previously it might have taken a week. 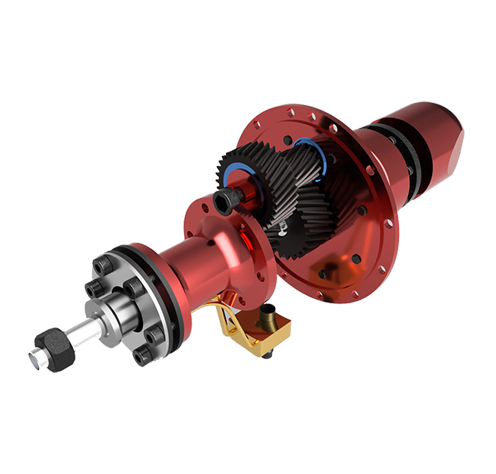 Assemble designs with a traditional bottom-up, middle-out, or top-down approach and analyze assembly motion. You can just start modeling your ideas... large assemblies can be animated well. 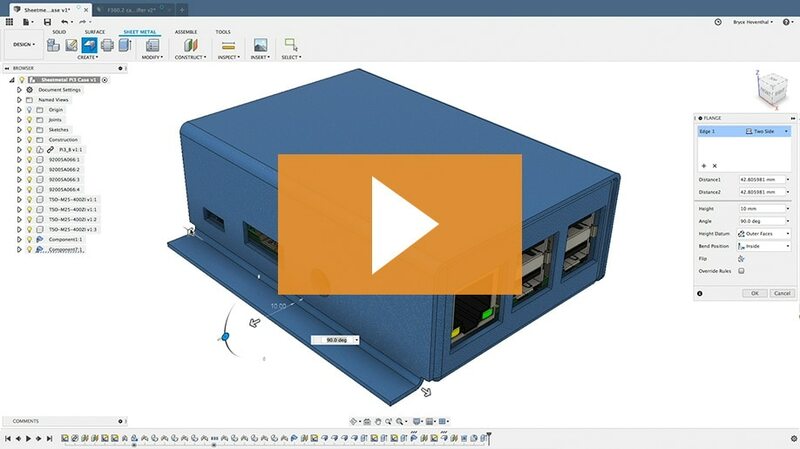 Synchronize bi-directional changes from your electronics designs seamlessly with Autodesk EAGLE interoperability. 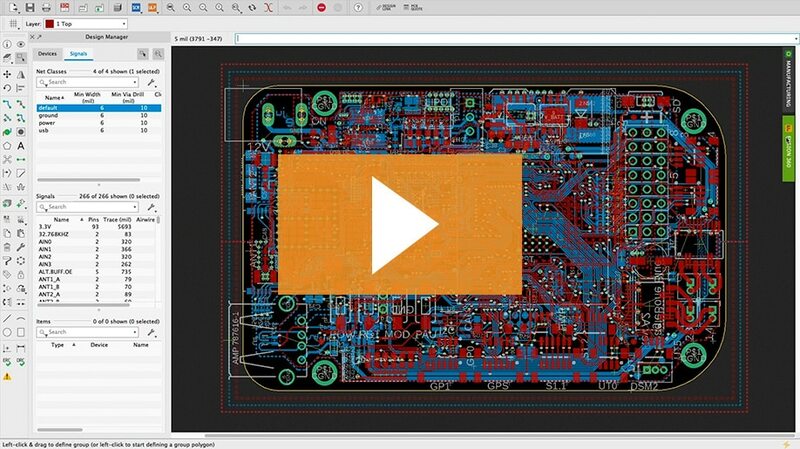 I like the integration between Fusion 360 and EAGLE. It's the main reason I decided on EAGLE. "To support our company's growth, we require scalable, flexible, cost effective software tools, which are focused on innovation and value rather than squeezing maximum revenue from dated software. 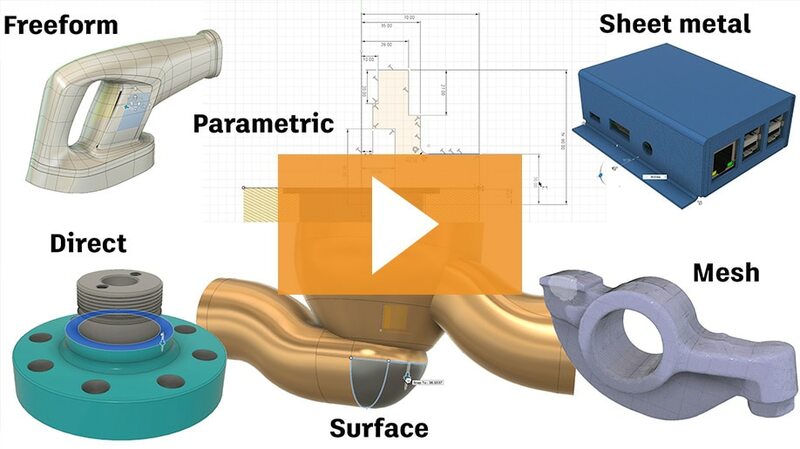 Fusion 360 has so far exceeded our requirements for mCAD." The team at Claudius Peters is using generative design to reimagine the design and fabrication of some of its largest equipment. The improved designs will reduce the weight of this equipment by an estimated 25%. 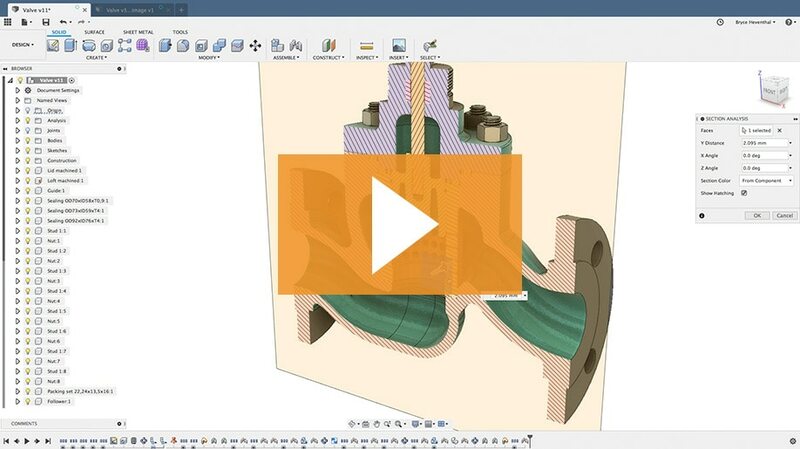 Check out these on-demand webinars to learn more about the design to manufacturing workflow in Fusion 360.